Gwynneth Haynes, songwriter, vocalist and multi-instrumentalist, and de-facto leader of the Portland, Oregon area band Sophe Lux (with a handful of releases to their credit) has turned a new page with this latest release, now using the moniker Sophe Lux & The Mystic, a duo of Haynes (all vocals, analog and digital synths, drum machines, piano) and multi-instrumentalist / recording engineer Larry Crane (guitars, bass, percussion, vintage Casio, analog and digital synths, drum programming), with guest players sitting in on real drums, guitars, and additional voices, track depending. 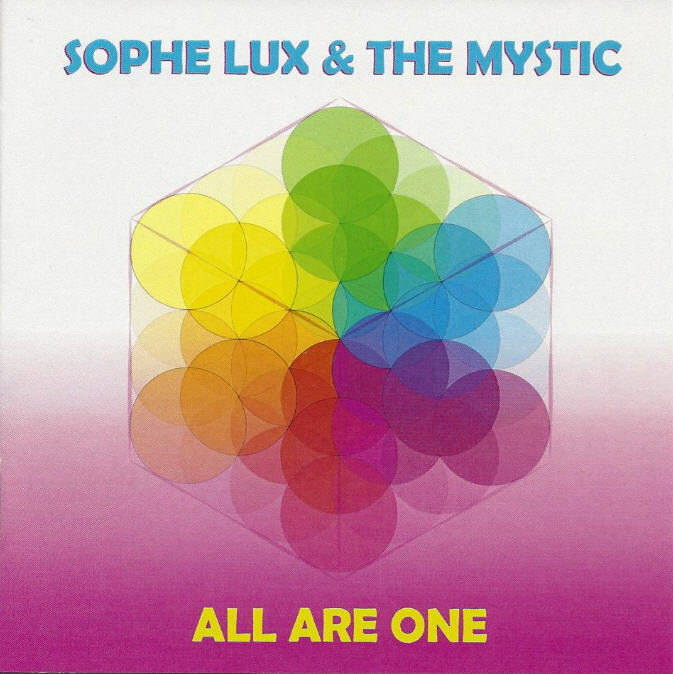 All Are One opens with “Your Wonderland,” an upbeat synth-pop piece with a strong space-rock vibe with vocals that recall the best days of the Eurythmics in the early 80s.Throughout the album’s nine tracks, Haynes' vocals are nothing short of superb, often tracked with multiple harmonies, creating moody and lush theatrical soundscapes vaguely reminiscent of Kate Bush or Björk. After an short ambient intro, “The Earth Breathes” takes off onto a more catchy electro-pop journey that shows Haynes at her soulful finest. Many moments throughout the album recall some of the best shoegaze style Projekt label / 4AD artists of the 80s and 90s, in particular “Who Knows What Wonders Might Arise” and closer “Arise & Awake.” All of the tunes throughout display a strong melodic savvy, with nods to classical elements, progressive themes, and a touch of psychedelicism, while Haynes’ angelic voice and choral overlays are in command of it all. All taken, this is a strong statement that juxtaposes numerous familiar elements to make for truly enjoyable release.